The Directorate of Government Examination has announced the HSC public exam March 2019 online application form starts on 27.12.2018 ends on 05.01.2019 for private candidates. Students those who are going to write plus two board exam in March / April 2019 should apply before 5th January 2019. 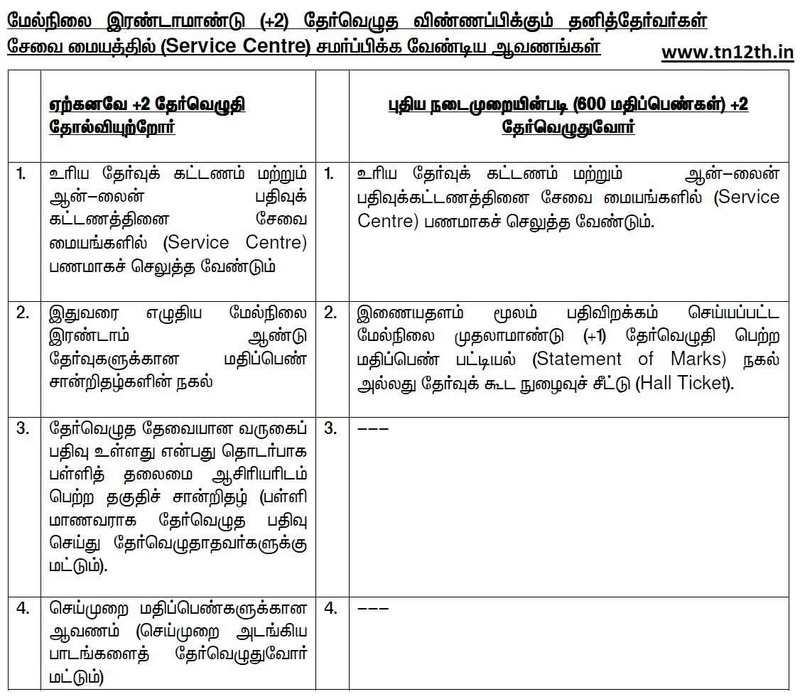 Tamilnadu 12th Application Form March 2019 only through online at Government examinations service centres. There are two types of private candidates who can apply for TN HSC Exam Mar 2019 (Practical & Theory). H – Students who already appeared ( Old syllabus - 200 marks for each subjects & totally 1200 marks) and wants to apply for failed subjects again (Attempt / Supplementary). This time TN DGE has divided application process time period into two. 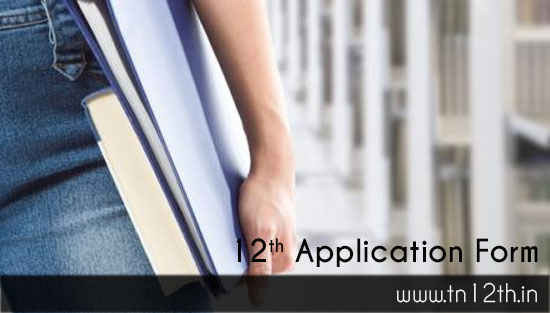 TN 12th online application with fine and without fine. Candidates who apply in first batch, no need to pay fine. Those candidates who missed to apply in first batch and want to apply in second chance time period should pay fine amount Rs. 1000/-. So candidates are advised to apply for HSC Second Year Exam March 2019 without fine in first batch. Candidates those who are going to apply for Tamilnadu 12th Exam March 2019 as private need to submit following documents at government exam service centres. How to Apply for 12th Public Exam? The TN DGE already released Tamil Nadu 12th exam time table March 2019 and plus two result 2019 date online. Private candidates can prepare for your public exam using online study materials, 12th text books pdf, previous year question papers, blue prints and syllabus. How To Find Exam Centre??? sir I've missed to apply for the exam on upcoming july 2018 is there any tatkal date for applying please tell me sir.. Which date result will come?? 12 attempt apply last date ??? ?